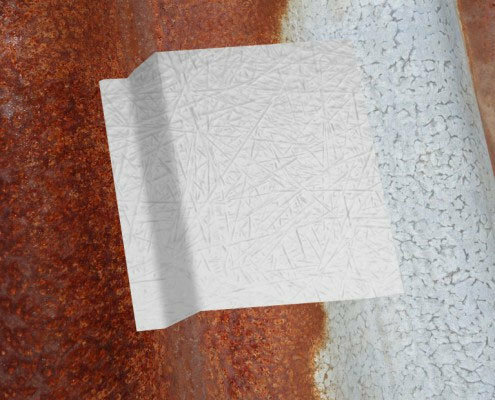 Did you know this heat-reflective membrane also helps control roof leakage and corrosion? 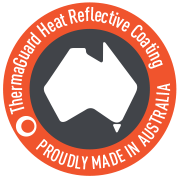 Stop thermal shock and aging with a Thermaguard HRC cool coat. What to do when ‘traditional solutions’ appear impractical and unaffordable. Is excess heat and humidity a problem? 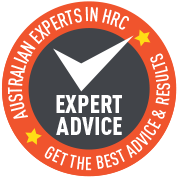 ThermaGuard HRC is a life saver for property managers needing to quickly restore productivity. Without stopping the retail/office/educational functions occurring within, we can provide instant comfort benefits for your people. Can older buildings benefit from ThermaGuard HRC? The answer is that older buildings retain high yield and stay viable for longer with Thermaguard HRC cool-roof coatings. 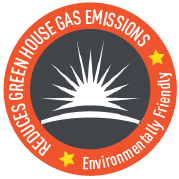 Buildings look cleaner, sharper and function better thermally, with almost zero roof maintenance. Lean electricity usage is another important yield selling point. Additionally overcoming limitations within a building’s existing mechanical services is often a contributing factor. ThermaGuard HRC reflects 95% of all solar rays away from the building’s surface. 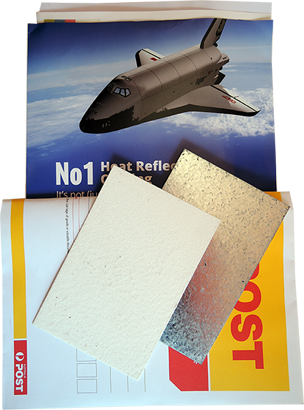 Of the remaining 5%, ThermaGuard HRC’s insulating ceramics provide a second layer of defence. With emissivity re-radiating up to 92% of the residual heat away. The resulting heat load reduction simply cannot be matched $ for $ by bulk insulation or HVAC. 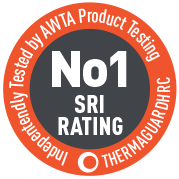 See why property professionals find ThermaGuard HRC a better, cheaper, faster solution. Up to 3x speed and 1/3 x cost of traditional options. The very worst point of failure on a stiflingly hot work day is your chiller motors and compressors. During Australia’s long, hot summer your HVAC plant is working at its maximum rate, trying to reduce internal air temperature and keep it low. Yet this HVAC plant is itself subject to the sun’s relentless rays, posing an unnecessary risk to your facility’s cooling system. After a cool-coating, you’ll have removed one critical heat load from your internal plant, significantly reducing the chance of thermal tripping and mechanical failure. Even small changes in temperature can be very significant in realised COP and in helping maintain a sustainable plant duty cycle. By coating the main cabinet, attendant ductwork and, where necessary, the apron around the air intake, you can remove losses. Youâ€™ll prevent additional air temperature rise, in both the air entering the compressor and after within the ductwork. It’s simple and effective. Property professionals are agreed that during this El Nino summer no one can afford to depend on over stressed plant. Don’t risk failure. Our Chiller Rescue program is an affordable and effective means of reducing risk. It also ensures the goodwill of tenants and customers alike. Plus cuts electricity costs for all concerned. Tip: do this and then cool-coat the entire roof for greater all-round savings. Avoid a hugely disruptive cost by revitalising your existing roof. 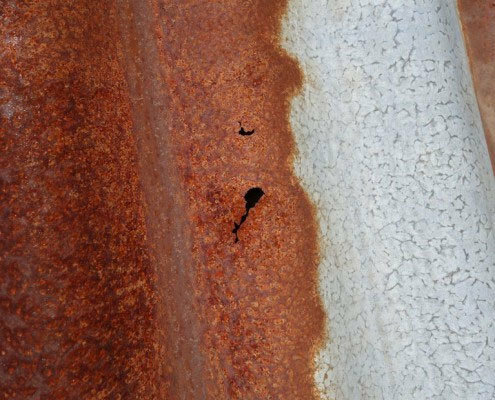 First we stop the rust and corrosion process that has done so much damage to your existing roof. Our purpose designed metal fixes bridge any existing cracks and gaps in the roof. We seal where your roofing material tore itself on nails or screws. Our rubber lined fasteners anchor the roof to the frame of your building. We will then apply two coats of ThermaGuard HRC. Your roof becomes passive (and quiet) and comfortable. No more Thermal Shock here! Improve the functionality of an old roof. Even extensive damage from thermal shock can be repaired. You’ll avoid the immense disruption from 1/4 of the cost of a new roof. Your tenants, staff and customers can trade, whilst our team is working above them. 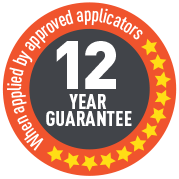 You will have a storm ready and leak proof roof guaranteed for 12 years. Extend the life of your facility and give yourself peace of mind. What this saving means for you in a practical sense. Are you dreading your building being out of action? You know; with major works on site… Or are you just hoping that your building will just soldier on long enough? If you’re at this stage, it is time to talk to us for a better alternative to replacement. What is your pain – the rusting roof? 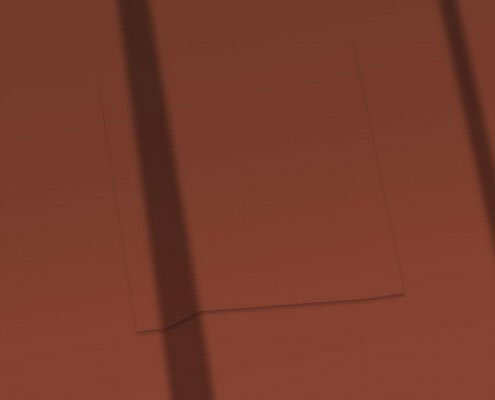 – water leaking? perhaps troublesome ductwork? We can help you get back to ‘business as normal’ faster and easier. You’ll love how we refurbish your old building with a new skin, in a way that you had previously not considered possible! Don’t leave it until too late. If you have sound metal, we can work wonders. Imagine, ‘shoppers are happy to shop here’ – always cool and comfortable – the air is always pleasant. Never sticky or sweaty AND your building structure is sound. If you’re replacing ‘same with same’, it’s purely sunk-cost maintenance. Some investors will ‘crack it’. After all, who wants to lose several years of their financial returns on roof replacement? Here’s the new way. Under a protective outer coating, your existing roof is a better roof, which is secured by a long warranty – and everyone (including your tenants) has more amenity. You pay less upfront and you maintain that superior cash run-off. Building managers, take note. We hear that corporate owners and members funds come in pretty quickly – Because there’s deep driven results. And that’s the key. Address the danger of exposed hazards – for the long term. ThermaGuard HRC coatings, in combination with our asbestos sealing primer helps you fulfill this responsibility. Our unique product allows you to effectively address OH&S and compliance issues over the long term. You get excellent binding power and durability in addition to the cool-roof advantage. 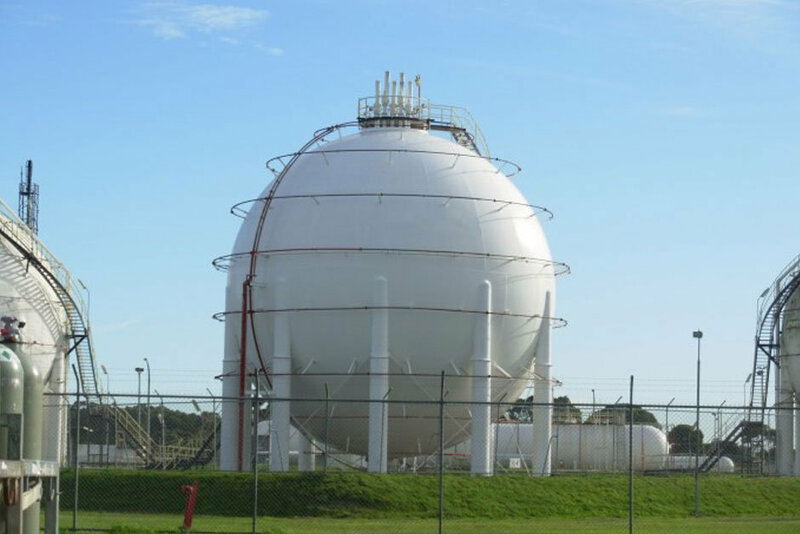 Our expertise covers essential network utility infrastructure including gas and electricity. We also specialise in mining operations. Any coat and sealing project involving hazardous materials or within a hazardous vicinity needs an expert approach. What’s your job to be done? – Contact us now for a consultation. 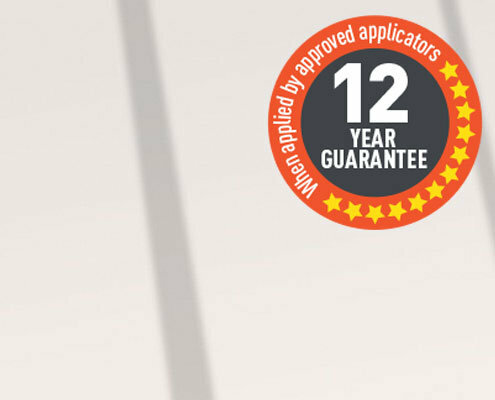 We’ve set aside some ThermaGuard HRC sample packs with a job planner blueprint for you. To ‘Prove IT Yourself’ just put the plates in the sun and after a few minutes you’ll have your own opportunity to say – by crikey it really does work, just like they said!